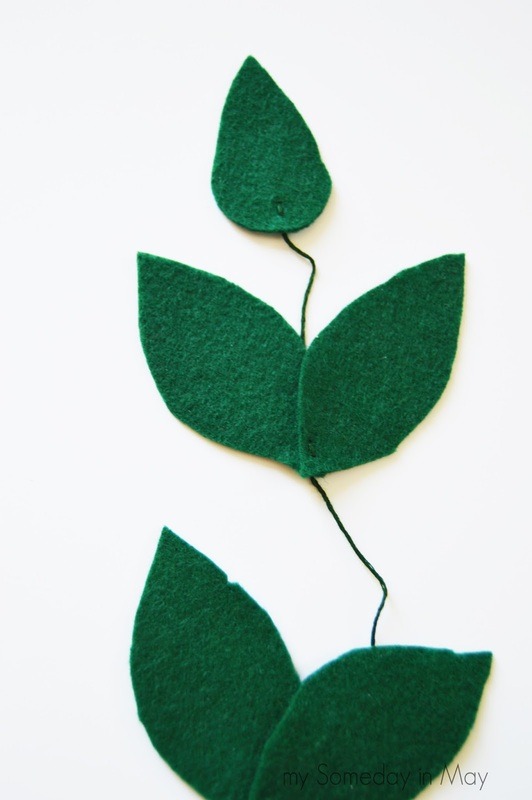 As promised, here's my step by step instructions for how I made these cute felt hanging flowers. I said before (see original post HERE) that this wasn't hard to put together it was just time consuming to cut out all the pieces. I thought it was so worth it. I bought my felt from Hobby Lobby. They have a whole aisle full of different colors and one sheet is about the size of a piece of paper. Most of the felt is less than .50 for one sheet. When you've gathered all your supplies, you'll want to print out my template HERE. Cut out all the pieces. 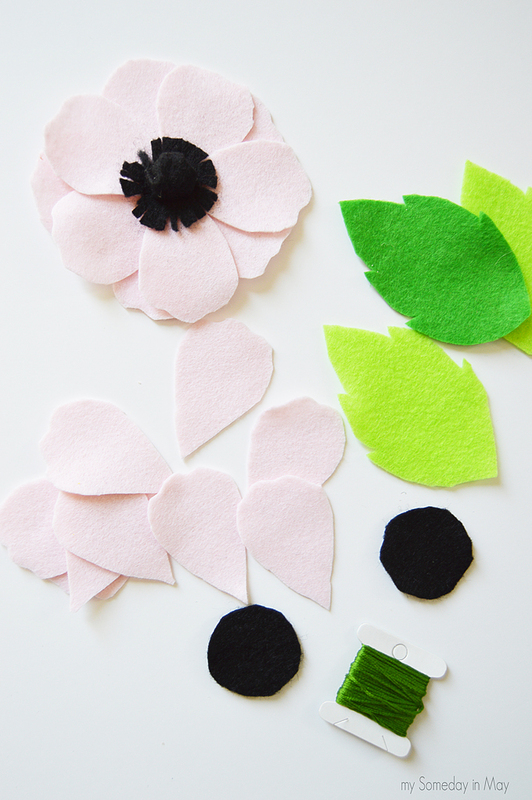 Pin the template piece to the felt and cut it out (way easier this way.) 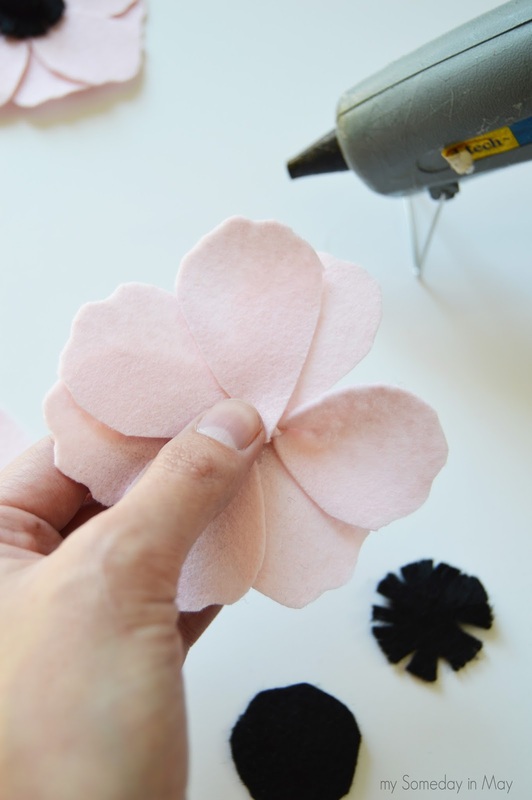 Cut out as many petals from each sheet of pink felt as you can. Once I had cut out all the petals I added little bumps to the end so that every petal was slightly different and more realistic. 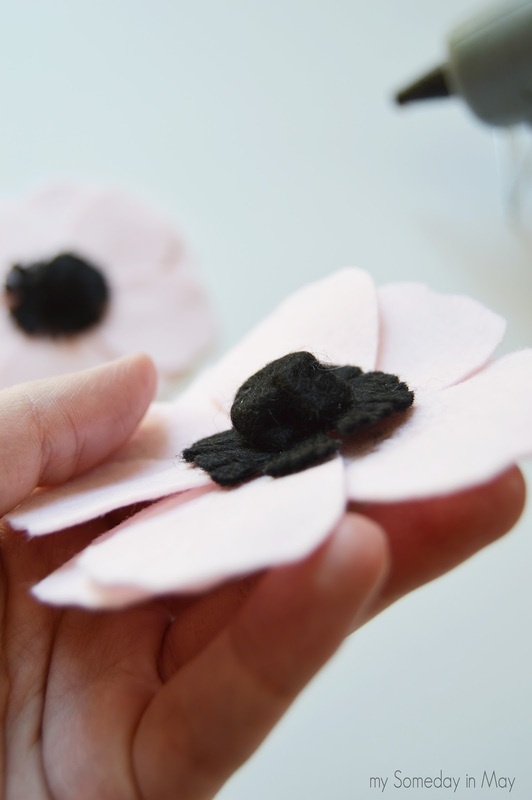 For each flower you'll need 9 petals and 2 black felt circles. 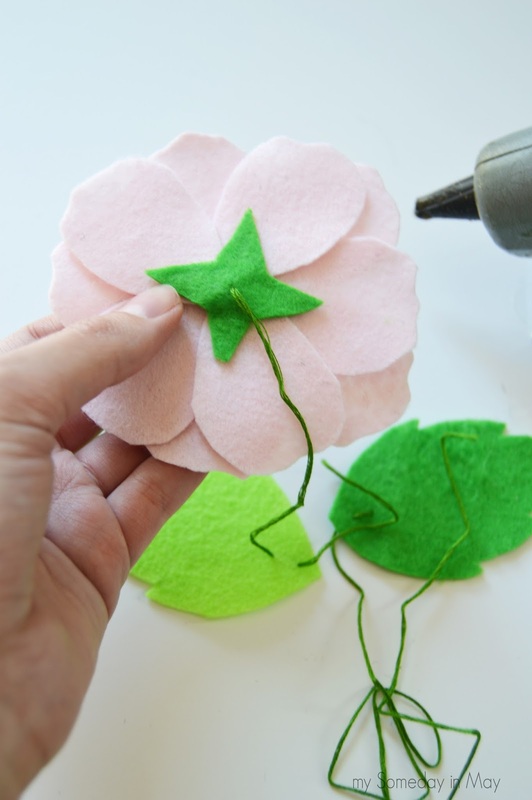 To start putting together your flower, choose one petal and add a dab of hot glue and pinch the bottom like this. 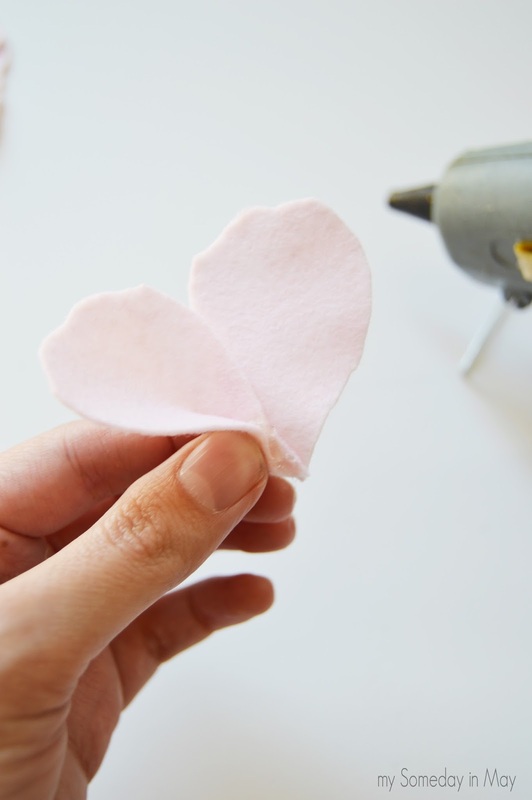 Then add a little glue to the outside and add a second petal. 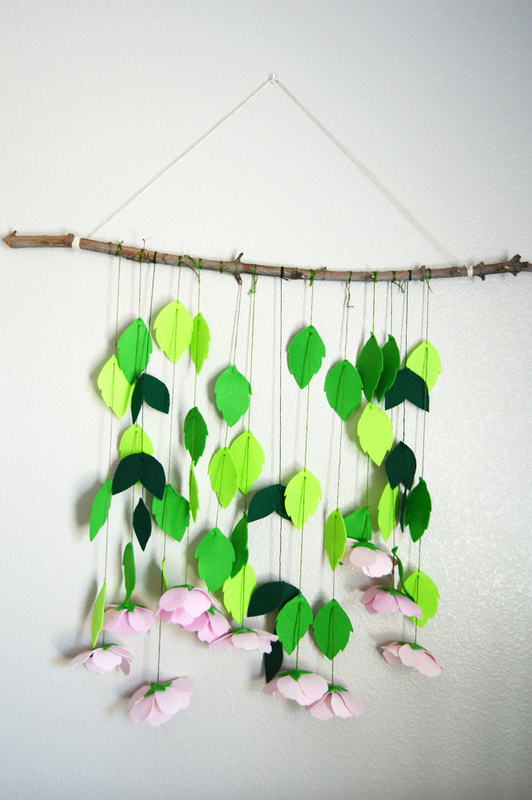 Keep going all the way around and then add petals on top to fill in the gaps. Then take one of your black circles and make a fringe all around the edges. Clip little gaps in it so there's space in between. Don't worry if it doesn't look perfect. I think it looks cuter that way. 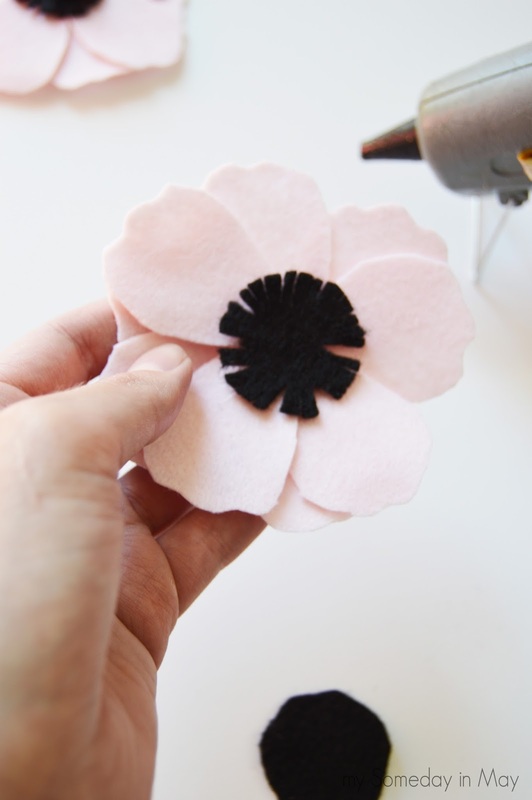 When you're done, glue your fringed circle to the center of your flower. Take your second black circle and put a dab of glue in the center and then cinch it together like it's a little sack. Then put a dab of glue in the center of your fringed circle. Be careful not to burn yourself as you take your little sack circle and squish it into the center of the flower so that it looks like a little ball. You will need to fold the edges under to make a ball shape. It's something you have to play around with for a minute to get. Once you've cut out all your leaves and made your flowers, you are ready to put it all together. I used three leaves for each flower. Measure out how long you want your embroidery floss to be. All of my strands were around the same length but not exact. Take your embroidery floss and an embroidery needle and do a little vertical line stitch from the stem towards the tip. 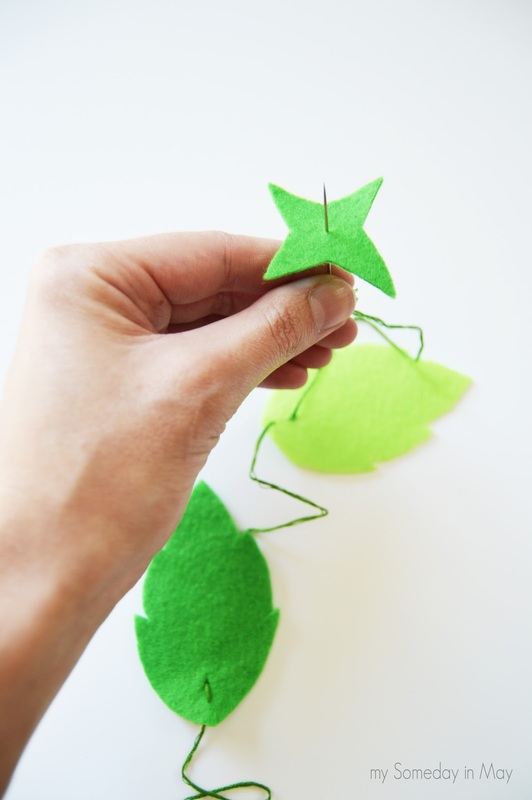 Then slide your leaf where you want it (this will be the leaf closest to the branch) and then add a little knot to keep it in place. Do the same with the next two leaves. I alternated between light green and green and then did the opposite on the next flower. 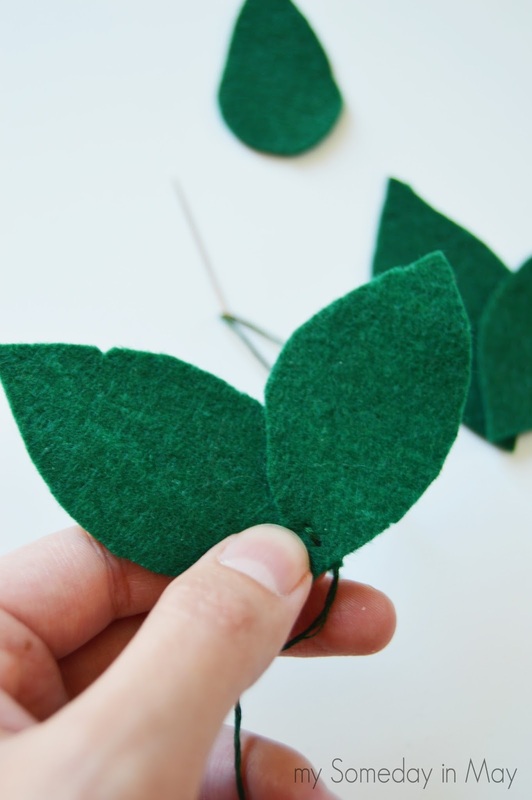 When all three leaves are knotted in place, cut out a little sepal shape in green and put your needle through the bottom and do a little knot on the top to finish your strand. Now you can glue the sepal to the flower. The bottom of the flower should be glued to the knotted side of the sepal. For the darkest green leaves, I put one leaf on top of the other and did a small vertical stitch through both leaves at the bottom. Then I slid it where I wanted it and knotted it in place. 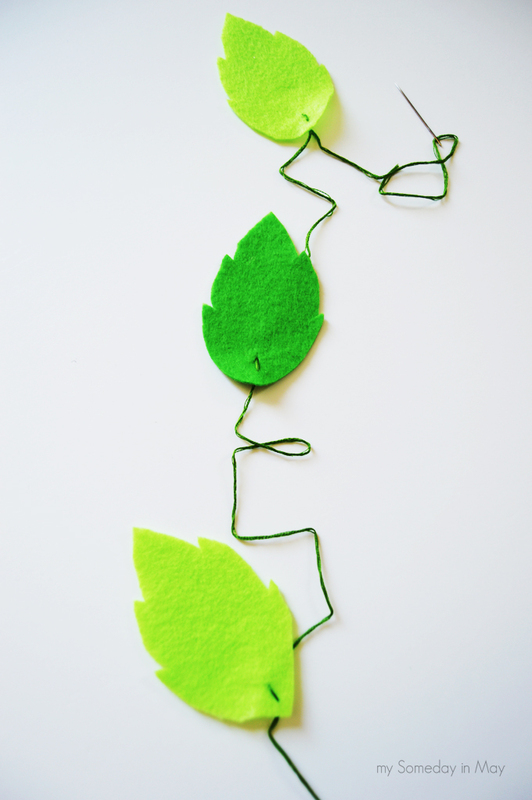 I did it again with the next two leaves and then finished the strand by doing a single leaf and knotting the back. I love all the contrast from the three different greens! That's it! When you have finished putting together all your flowers and your dark green leaves, you can tie your strands to your branch. I added hot glue to the back of the branch on top of the embroidery floss so that it would stay in place and not come undone. 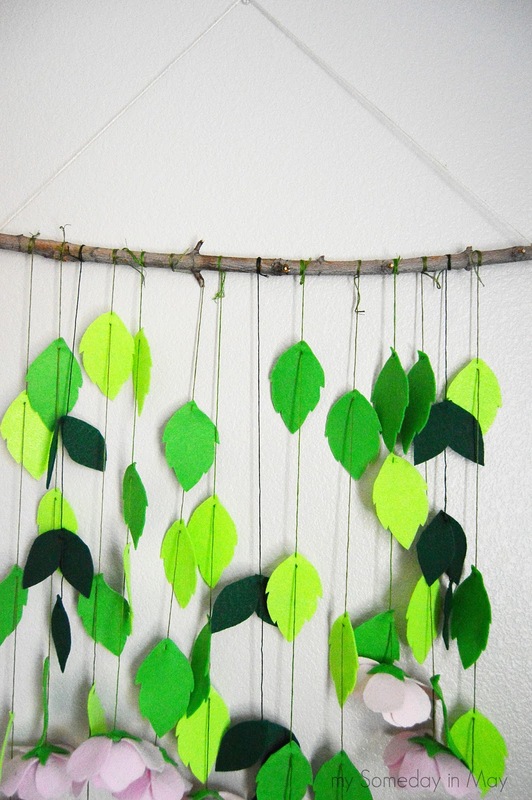 I just used twine to hang my branch and put a push pin in the wall to hang it up. Did not even need my hubby or his power tools ;). Hope you like this little project! Happy crafting!